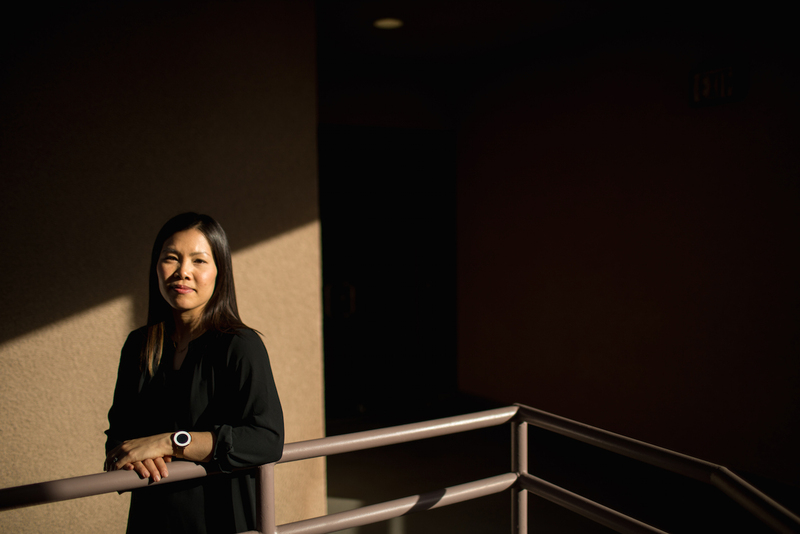 When Jessica ChenFeng (MFT ’07) arrived at Fuller as one of only a handful of Asian Americans in her Marriage and Family Therapy cohort, she noticed that she never felt at ease in spaces where she was the only Asian person. “I was my fullest self with people I was comfortable with culturally, and I didn’t like that,” she recalls. She grew up in a Taiwanese American family and a mostly Asian community, and didn’t realize how embedded she was in her own culture and context until she was diving into marriage and family therapy, a primarily white-dominated field. One arena Jessica mentions that highlighted the effects of social location, both for herself and others, was last year’s US presidential race. She observed that, whatever candidate they supported, many found themselves interacting online in social media echo chambers, attending churches that reinforced their opinions, and socializing with friends whose beliefs matched their own. “What hurt the most and felt personally threatening,” says Jessica, “were the people we assumed were ‘like us’—family members, people who share similar social identities to ours—who we began to perceive as ‘the other.’” Yet understanding the perspectives of those “others,” she insists, must start with understanding our own: critically examining ourselves and the influences that have built our own identity and belief system. Jessica tells of one family member—another Taiwanese American Christian woman—whose experience and political response illustrate both the complexities and constraints of cultural embeddedness. “She has many identities,” Jessica describes: “one being marginalized as an Asian woman who had to immigrate to the United States and learn English, and at the same time feeling that she and her family worked hard to get an education and citizenship in legal ways.” The news articles this family member reads and the people who inform her thinking, Jessica perceives, all reinforce her particular beliefs. “She is genuinely living out her strongest convictions, but has no access to those with other worldviews that might influence her own.” It’s a too-common situation, says Jessica, in which insulation from one another’s stories can perpetuate disconnection. On a larger scale, Jessica helps her students learn to engage in this kind of consciousness and connecting in the diversity class she regularly teaches as assistant professor in the marriage and family therapy program at California State University, Northridge. In classes like this one, Jessica explains, the goal used to be spoken of in terms of “cultural competence.” But now, more people are becoming aware that one cannot be “competent” in other cultures because those cultures are always changing. 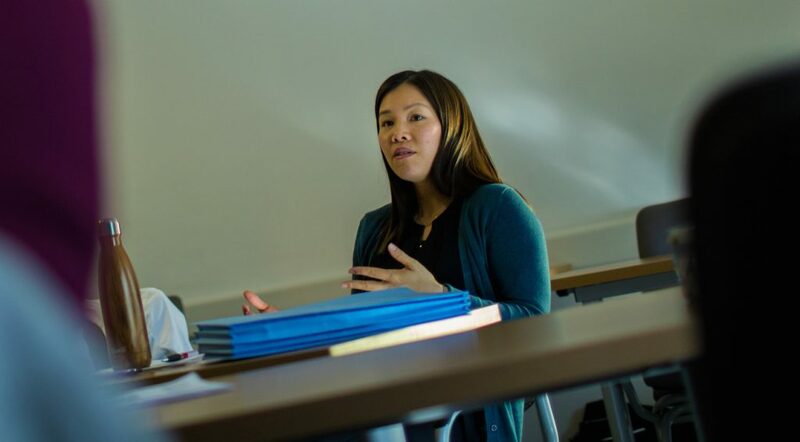 “Traditionally, cultural competence was based on a tourism model,” she says, with lessons that tended to box up other cultures: “These are Asian Americans, these are black Americans, these are what Latinos are like.” Because cultures are alive and ever changing, Jessica says her goal is to teach her students “cultural humility” instead of cultural competence. “That term indicates that I can never be ‘competent’ in fully understanding any cultural person, even myself—that I’m always growing,” she says. 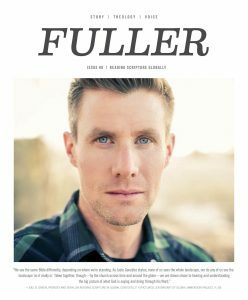 “A million little pieces” go into shaping our unique story, perspectives, and worldview, says Jessica. If we want our relationships with others to be both meaningful and authentic, we need to deconstruct and understand those pieces. Taking a clear-eyed look at that embedded identity in ourselves, Jessica believes, will help us be more open to the complexities of the “other”—and cultivate the cultural humility that can bridge divides. 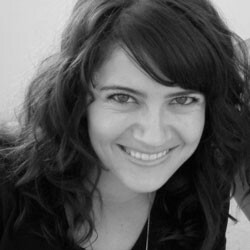 Joy [MA ’12] is a writer and editor living in Los Angeles and working at Azusa Pacific University. 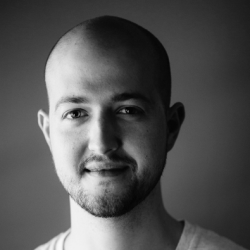 Timothy James Kay is video storyteller and photographer for the studio.